The Gala Laces espadrilles in Black are go-to shoes for casual hangouts in jeans and a tee or more dressy occasions paired with skirts and dresses. 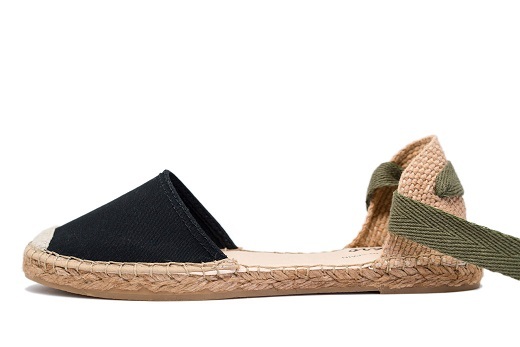 This stylish flat is a version of the traditional wedge-heel espadrille with a braided jute sole, canvas enclosed toe, and cotton ribbon ankle lacing. 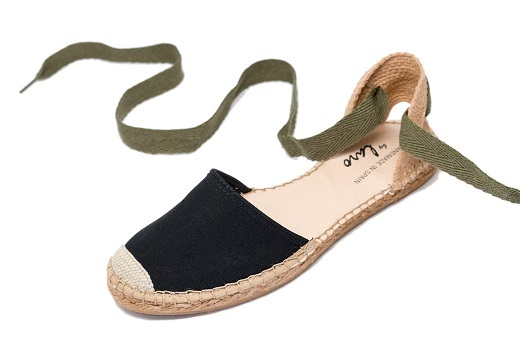 All of our Laro espadrilles are handmade in Spain high quality materials and durable rubber soles.